I found Susie on eBay back in 2009 and her feedback was amazing.It seemed unreal that someone could be that accurate so I decided to give her a shot. She is not only accurate, but she is compassionate, nurturing to the soul and you can literally feel how much she cares about her clients. She helped me eliminate problems I could see that were starting to happen and helped me become the true creator of my life path. I've learned a lot and am forever in her debt. If you do give her a shot then tell her that Bella said hello! I haven't heard from Susie since earlier last year and just emailed her to wish her a happy new year before I saw this. I am sadden to hear the news. She is such a lovely woman with a big heart. My deepest condolence goes out to her family. May you be at peace Susie. And I truly appreciate for all the authentic readings and works that you have done for me. You are truly gifted and loved. A friend introduced me to Susie. The first reading I got seemed to good to be true but felt how could someone know so much without honestly being gifted. Her reading stayed consistent and I did feel I saw some things happening. But it makes me wonder did she just go back to previous emails and give us the same outcome? Was she truly gifted and really did see and feel and know these things. There's things that I feel that unless you're gifted you wouldn't know these things but I feel for the first time with in my life was I guilds to something that I never truly believed in because there's so many people that pretend to be gifted when they're not. I do believe that people are gifted but how can you know for sure from the ones that are in the ones that make you believe they are. It seem too good to be true-things happening that I hoped for and wanted- or was it coincidence? All of a sudden things that I thought were going in the right direction came to a screeching halt, a 180 turn and I felt like everything just crashed and burned and it left me feeling completely destroyed. How could it seem like everything was making sense- things were happening and then all of a sudden the absolute total opposite seem like it happened overnight & nothing good has come of it sense. Did Susie really did pass away even though I can't find a single thing about it? Or is it that she knew she was completely wrong and is avoiding everybody? As soon as Susie disappeared seem like when everything crashed and burned... That seems odd & makes me question so much. Where is Susie Wijaya now? I haven't been able to contact susie since April 2015 has anyone heard of her? To the person who left the last comment. Thank you so much for letting everyone know about Susie. I have been trying to get in touch with her for a while. I was worried something might have happened to her. I knew she was very ill. I am so very sad to hear she is no longer with us. She was such a lovely woman. SO helpful, kind and generous with her time. I met her many years ago. She was a Godsend to me. I will never forget her. Thank you also for telling us where her niece is. I have been trying to get a hold of her, as well. I never heard of Bonanza, but am now on there and hope to meet up with her.  When their website stopped working I knew that something went terribly wrong. My heart goes out to all of Susie's family for the loss of their loved one. She was a truly special woman. I am sad to have heard this news today, but happy to have the closure of finally knowing. Thank you again. I just found her niece. Thank God. Susie was sick for a awhile and could not get back to some of loyal ones around 2013 and 2014. She came back to do readings sometime in 2014 but did not last long. I just found her niece at another site on bonanza. Her niece is EXACTLY like Susie. I thought I was being tricked as I thought it was Susie writing to me but its not Susie q's old email address and she was trained by Susie her whole life on how to use her gift she inherited. she goes by the first name Mae.. calls herself crystal mae. Similar to crystal jade guild name of business she was in with her aunt Susie. Anyone who is a client of Susie prob received an email. They are back but joining another site. She does have same email, but sounds like lost all emails & clarifications when site when down. I have resubmitted my last questions & clarification. No later than July 24th the new site should be up. Crystalmoonpsychics. Com! I did a lot of looking & found out their Domain Name Expired on Mon June 16th. That's the day unrequested my last reading. I contacted paypal & said I did not get service done as website is no longer. But haven't heard back. How can a company not know or care their domain name is expiring. What bout your loyal customers? Can't even send an email explaining what may happen. I want to believe all she said is real, as I said my friends & I who had readings done for last yr or longer for some are seeing things unfold. At times we were scared of stuff & asked ? 's and she explained very well so it put our minds at ease. I've seen many many great reviews about her & few people readings didn't work out, but think it's not all Susie, depends in ? Prob and if she is able to connect well w the person who request readings. I was looking forward to my last reading. Hoping they come back online soon. She did same to me. I want refund. Its a shame because she good-have been client for 7 years,hmm she wouldnt done this to us if she was still on ebay would she. How can we get Money back???? A very close friend introduced me to Susie last Aug. She had gotten a couple readings before that. We both slowly starting seeing things unfolding after time. We have both gotten several readings and we had hope and faith and trust. She requested and paid for her reading a week ago & Susie told her what time the next day for IM through yahoo. I requested 3 ? Via email. But neither of us had heard from her & now go to crystal jade website & it NO LONGER EXISTS!!! Her & I are angry. Cuz was it fake? Did she mix up energy and flip stuff to make sound good? We have NO idea. Just vanish no email of saying dear customers we have a new website nothing. I had gotten free reading during time she was sick as she was afraid some may not be accurate enough. Gotten longer readings due to illness etc. Now we just don't know what to think. We are crushed. For a yr we thought things were unfolding but guess was coincidence or just us wishing & hoping for things to happen that we wanted SO much! yes she was off sick in 2013 but has returned. i have had a few reads and although she said he turn around time is three days usually , it turns out to be abut 6 days to two weeks. if you have the patience to wait for her she is well worth the wait. she is just as good now as back on ebay in 2009. in fact if she knows she is late sending your reading she will often times up it to a 1000 word answer per question and give you more of a reading for being little late. she is very thorough and really into her work professionally. always professional and detailed and you can tell she is into her reading from the correct english and grammar she uses and puts thought into in words etc. she is super really. I used to get regular readings from Susie a few years ago.  I found her initially on ebay and had a good experience with her, so I decided to directly pay her through her website (crystal-jade psychics) and had a few other good readings. Some of the things she said were incorrect - at least, 4 years later, they never happened. Still, she's one of the better ones I've come across. We actually had a pretty good relationship, I thought, and on several occasions, I'd IM her and ask if she was free for a reading. She'd then reply sometimes and say she'd be free at such and such hour, but when I'd show up for the reading, she'd be completely unresponsive. I then emailed her a couple of times, and the same thing happened. I finally gave up..I mean, if she doesn't want the business, why would I keep trying. I think I had received a total of 5 readings from her in the course of a 1-1.5 years. I still see her on my Yahoo IM and she's often idle, sometimes active, but always nonresponsive. It's weird. I see she has a new website up called crystalmoonpsychics dot com. I'm not sure if I'm willing to try with her again, because if she can't communicate that she's not reading, or she's too busy, or whatever and chooses to ignore or be a no-show for a reading, what am I supposed to take away from that? In any case, she used to be very good at one point, so that's something. I have gotten a few readings from her and they have been good but as the other person said they came in a while later then anticipated. I use to get readings from Susie when she was on ebay. She use to provide accurate timely readings. Her readings are not as good as it use to be. I know she was sick for a whole.You are lucky if you get your reading within 2 weeks.